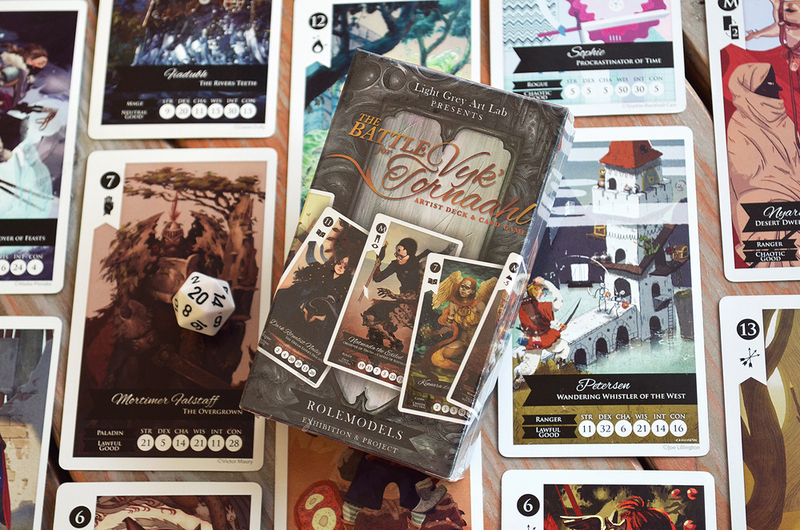 Rolemodels: The Battle For Vyk'Tornaahl is a limited-edition card game based on role playing game classes and themes featuring artwork from 100 artists from around the globe. 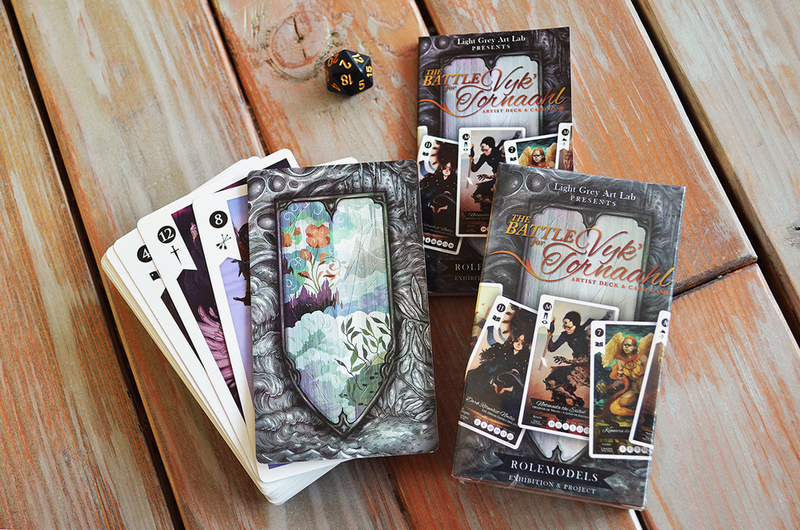 Take the role of one of four warring kingdoms to recruit heroes and villains, create battle formations based on traditional poker hands, lie through your teeth, and use special powers to outwit your enemies to win control of the land of Vyk'Tornaahl. 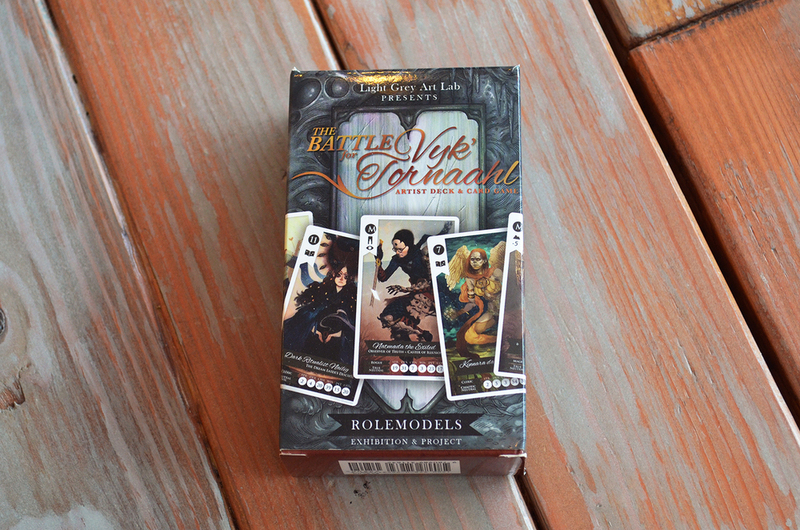 You can buy a copy of Rolemodels: The Battle For Vyk'Tornaahl from the Light Grey Art Lab shop. 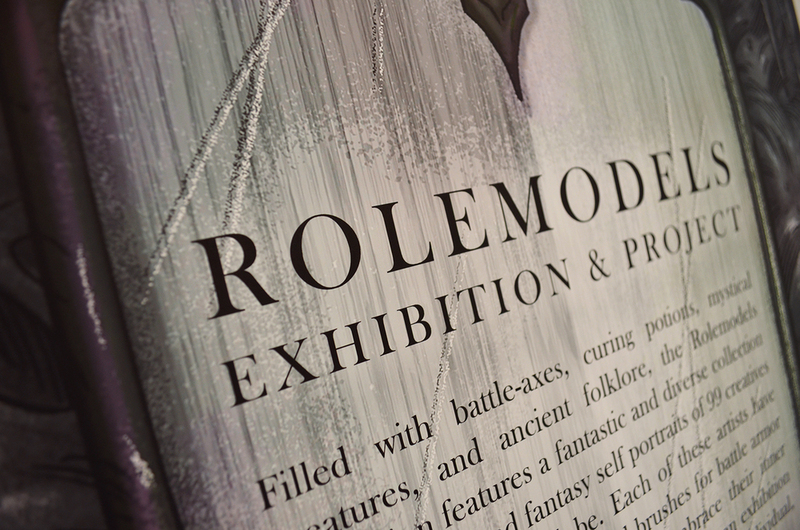 Find out more about the project at Light Grey Art Lab. 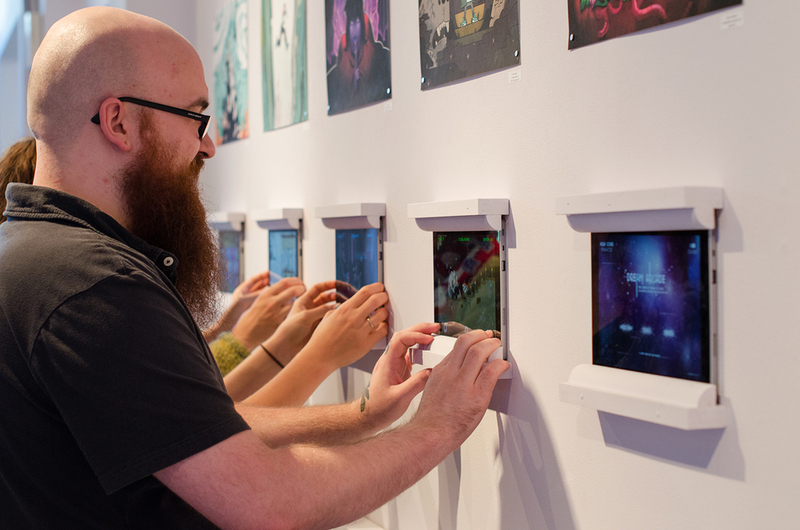 Dream Arcade is a videogame exhibition at Light Grey Art Lab inspired by the colorful artwork, characters, and epic adventures of retro arcade games. Dream Arcade features new concepts, stories, and art-filled landscapes with assets created by thirty contemporary artists and designers from around the world. Each of the contributing artists have worked alongside the Light Grey team to transform their pixel characters, props, and backgrounds into interactive playable worlds. 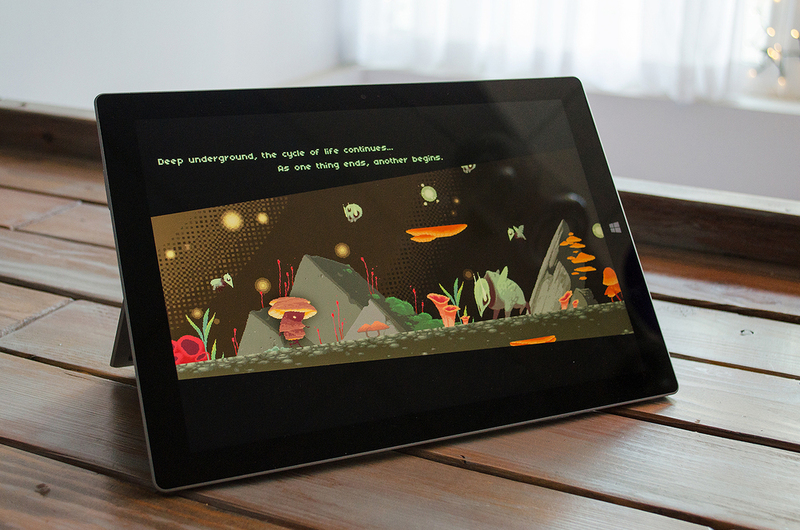 You can download Dream Arcade on the Windows Store, or play it online in a browser. Find out more about the project at Light Grey Art Lab.